The Breedlove Pursuit Concert Acoustic Ukulele features unique tonewoods at a very affordable price. 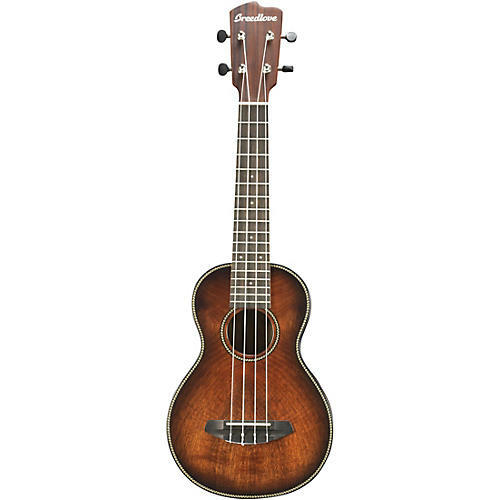 It's a great way to experience the tone and resonance of a Breedlove instrument in a Concert Ukulele platform. Beginner and intermediate ukulele players alike will appreciate its playability and sound quality, which projects an extremely balanced tone due to Myrtlewood with much more volume than expected. Case sold separately.